When placing order by phone, please be ready to provide your User Name & Password. Call for quantity discounts on orders of 5 or more books. Finally available for the first time, Jon Niednagel has combined his research with recent scientific discoveries to produce a new series of educational publications. 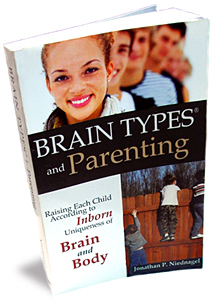 The first in the series, “Brain Typing and Parenting” is devoted to helping you know and understand your children and yourself more fully. By discovering your child’s inborn God-given design, you will understand why his or her mind works as it does – why children view matters and make decision as they do. You will also better understand your child’s emotional makeup. 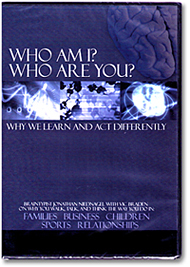 Presented with the physical and athletic perspective, you will know what your child’s body is capable of doing, and to what degree, while socially, you will better understand why your children tend to regard others as they do. Useful for anyone learning our new Brain Type acronyms and numbering methodology (i.e. #13 FCIR/entp) — especially helpful for those who have previously been accustomed to Jungian/MBTI typology. 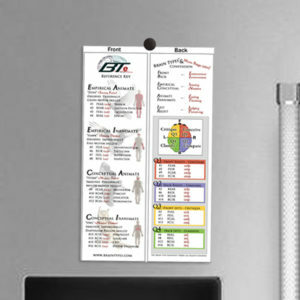 Best of all, they are the perfect size to be used as bookmarks, at your fingertips for easy reference during your reading and study! 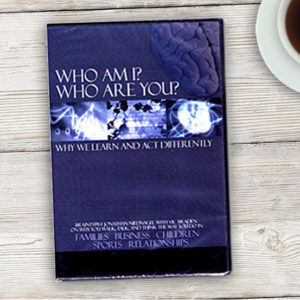 Please note: This DVD contains the former acronyms (ENTP/fcir). On hold for latest edition release – In Final Stages! Your Key To Sports Success (YKTSS) helps you (or perhaps your child) to determine one’s individual Brain Type…providing specific steps for how to maximize athletic potential.